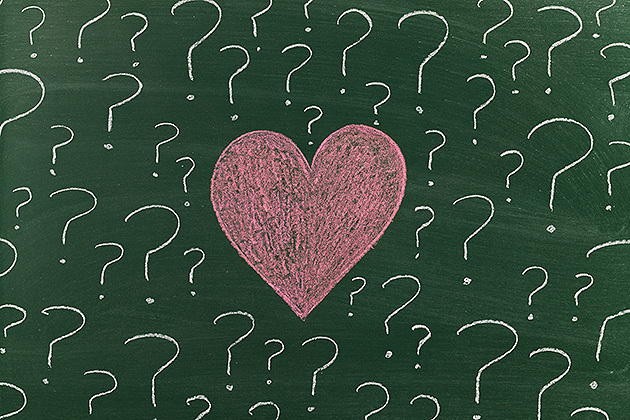 MultiBrief: Should you care if your employees love you? For years, I thought it was important that my employees loved me. Boy, was I wrong. You see, love is one of those things that can dissipate at a moment’s notice. Here’s what I mean. Remember when you were in junior high and you were so in love with one of your classmates? You were giddy as could be when you found out they felt the same way about you. Then, boom — you wake up one day to find out they’ve moved on. They’ve got a new love, while your world has fallen apart. I see the same thing happen in business. You hire what you believe to be the employee of a lifetime! This person can do no wrong. Yet they do. Only you don’t want to deal with it, for fear they’ll dump you and find someone else. So, you let things slide, until others begin to take notice. Employees don’t need another friend at work. They need a boss. Preferably one who has the guts to tell them when they’re doing something wrong. Think about it. Let’s say you have a bad habit of talking over people. You simply don’t let people finish their sentences. It’s gotten to the point where co-workers don’t want anything to do with you. Would you rather have your boss point this out to you and help you shift your behavior? Or would you prefer to be passed up for the next promotion, because no one wants to work with you? Your job as a leader is to manage your people. Sometimes it’s fun to do so, and sometimes it’s not. The truth may hurt for a moment. However, think of how much better off your employees will be when they can rectify career-ending habits. As a leader, it’s better to be respected than loved. Why? Because when it comes to love, there are too many factors that are out of your control. Respect is a different story. You can garner respect in many ways, including treating people the way you’d like to be treated, responding to requests promptly, and being transparent when addressing team members. I can also tell you that once you’ve made enough deposits in your respect account, you’ll still fare well should you falter for a brief moment. Love doesn’t pay the bills. You could be the most loved boss on the planet, but if you’re not getting the respect you need to achieve results, then none of this will matter. You’ll be known as the nice guy who is working in the same job he started in — that is if you still have a job. You may have noticed a thing or two about people in your organization who receive promotions or are awarded the plum assignments. For the most part, they may not be loved by everyone. But they sure have garnered some respect! For more than 25 years, Roberta Matuson, president of Matuson Consulting, has helped leaders in highly regarded companies, including General Motors, New Balance and Microsoft, and small to medium-size businesses, achieve dramatic growth and market leadership through the maximization of talent. She is known globally as "The Talent Maximizer®." Roberta is the person top employment site Monster and global retail giant Staples turns to for advice on talent. She is the author of the forthcoming, "Evergreen Talent," the newly released, "The Magnetic Leader," and the international best-seller, "Suddenly In Charge," a Washington Post Top 5 Business Book For Leaders. She is also an expert blogger for Fast Company, Forbes and Glassdoor, and was a former monthly columnist for The Boston Business Journal. Roberta is one of a handful of people who have appeared as a guest of Bill O’Reilly’s on Fox’s "O’Reilly Factor," and who left the show unscathed.